Steve LeVine covers foreign affairs for Business Week. He previously was correspondent for Central Asia and the Caucasus for The Wall Street Journal and The New York Times for 11 years. Previously he was based in Central Asia and the Caucasus for 11 years -- starting two weeks after the Soviet collapse through 2003. He ran The Wall Street Journal bureau for the eight-nation region, and before that covered it for The New York Times. 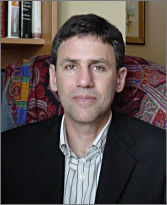 From 1988-1991, LeVine was Newsweek's Pakistan-based correspondent for that country and Afghanistan. Before that, he covered the Philippines for Newsday from 1985-1988. His first book, The Oil and the Glory, a history of the former Soviet Union through the lens of oil, was published in October 2007. Putin’s Labyrinth, his new book, profiles Russia through the lives and deaths of six Russians. it was released in June 2008.